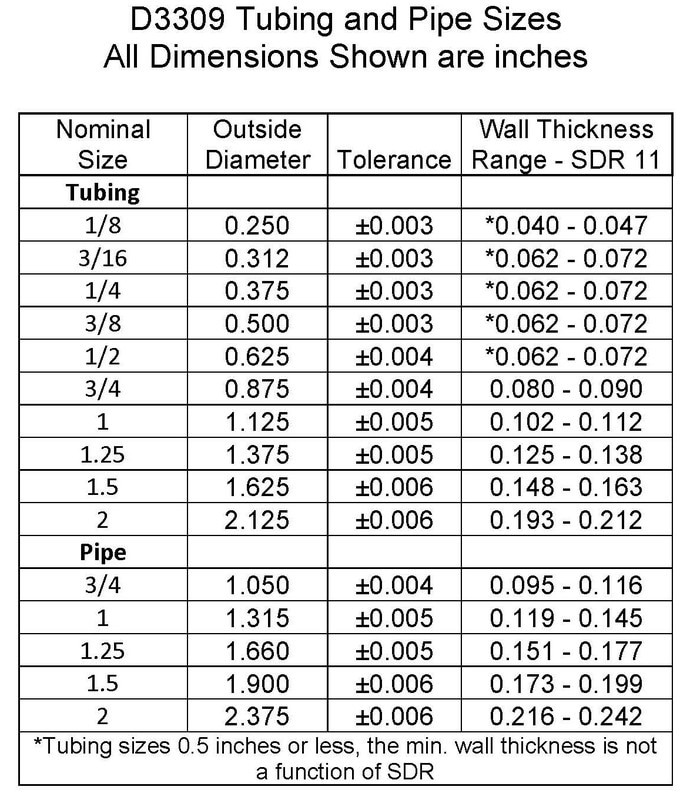 D3309 Polybutylene PB | Plastic Pipe Size Chart - Bryan Hauger Consulting, Inc. In spite of the fact that polybutylene pipe hasn’t been sold in the United States for decades, it is still out there. At Bryan Hauger Consulting, we have developed an expertise on polybutylene plumbing system integrity assessments. Consider the following hypothetical situation. A real estate deal is nearly the date set for closing – many multi-unit apartment buildings are about to be sold. Unfortunately, these apartments contain polybutylene hot and cold water plumbing. The deal is in jeopardy because neither the buyer or the seller can determine if the polybutylene plumbing is an asset or a liability. A polybutylene plumbing system integrity assessment by our expert team can resolve this issue and allow the deal to move forward by communicating our findings in a technical report that provides both parties with the results of testing in simple to understand language. We have an associate in Florida ready to assist clients with system integrity assessments! Elsewhere in the world, this same piping material is sometimes referred to as polybutene pipe and is still actively sold into plumbing applications. Please consider Bryan Hauger Consulting as your next polybutylene pipe consultant, plastic pipe consultant, pipeline or PVC pipe consultant. In addition to our expertise in ASTM D-3309 pipe standards, we provide a multitude of services for plastics professionals.